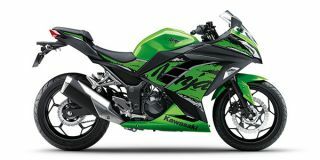 Kawasaki Ninja 300 price in Hyderabad starts from Rs. 2.98 lakh (Ex-showroom). Ninja 300 is available in only 1 variant. Kawasaki Ninja 300's top competitors are Yamaha YZF R3 (price starting at Rs. 3.51 lakh in Hyderabad) and KTM RC 390 (price starting at Rs. 2.41 lakh in Hyderabad).